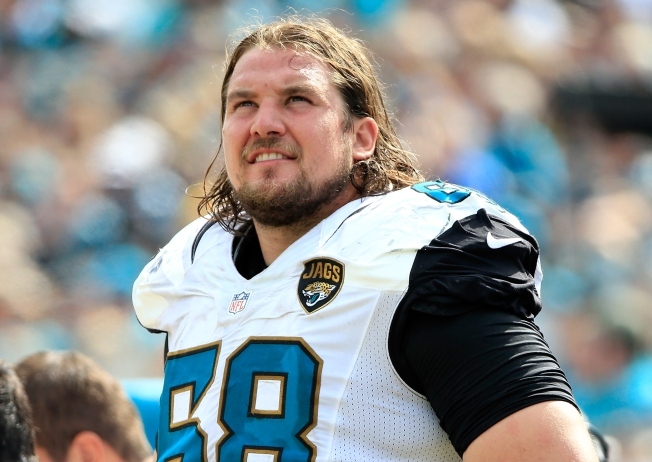 Back in 2012, Zane Beadles was a Pro Bowl guard with the Denver Broncos. His future looked bright with a team that made him a second-round pick out of Utah in 2010. But Beadles, now 29, has had his ups and downs since. He struck it rich in free agency two years ago, signing a five-year, $30 million deal with the Jacksonville Jaguars – but then was released earlier this month with three years remaining on his contract. He went from Pro Bowler to overpriced and expendable for a Jaguars team that seems finally to be on the rise. But, he wasn’t unemployed for long. Beadles, a 6-foot-4, 310-pounder, is reported to have agreed to terms with the 49ers on a three-year, $11.75 million deal. After playing left guard in Jacksonville, he’ll likely slip into the left guard spot for the Niners that was vacated when Alex Boone signed with the Vikings. The 49ers still need more help on the offensive line – a weak link in 2015 – but Beadle brings experience and durability. In six NFL seasons he’s only missed two starts, and those were in his rookie season of 2010 when he played both left guard and right tackle. He’s played at left guard ever since. But reviews are mixed about Beadles’ play. The analytics website Pro Football Focus has given out both good and bad grades to Beadles over his career, but he’s often struggled as a pass protector. In his final season in Denver, Pro Football Focus noted that he allowed 32 quarterback hurries and nine quarterback hits; in 2015, he allowed 30 hurries and six sacks. Those aren’t good numbers for a guard or an encouraging sign for a 49ers team that needs to do a much better job of protecting its quarterbacks in 2016 than it did in 2015. The Niners allowed an NFC-worst 53 sacks this past season. In 2015, Pro Football Focus ranked the Jaguars as having the 19th-best offensive line in the NFL, and wrote that “Beadles has been a constant disappointment.” In Beadles’ first year in Jacksonville, however, Beadles was judged by PFF to be the 10th-best guard in the league. So what kind of player are the 49ers getting? That’s uncertain. But back in 2013 when Beadles was coming off his Pro Bowl season in Denver, it was said that Beadles was a highly competitive player who liked challenges. “Beadles is a player who tends to play till the echo of the whistle and is a physical player who has the habit of enjoying it when he goes against strong competition,” wrote one writer who followed the team. Now, he has a new challenge and a fresh start.